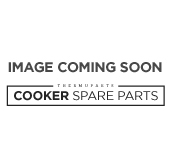 We stock a huge variety of Cooker Spare Parts, and no matter what brand your oven is, we’re sure to have the replacement part you need. We cater for all major oven manufacturers, including Zanussi, Ariston, Bosch, and many more. Can’t see your hob, oven or cooker manufacturer listed? Don’t worry, just because it’s not listed doesn’t mean we can’t get hold of the part for you. Why not run a Part Number Enquiry via our Help Centre and let one of the Cooker Spare Parts experts do the work for you.